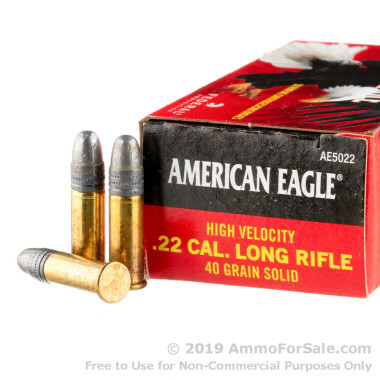 If you're an avid hunter or shooting enthusiast, this 40 grain solid .22 Long Rifle American Eagle High Velocity ammunition from Federal gives you outstanding performance for an economical price. If you're a squirrel or rabbit, this is the ammo your momma warned you about! 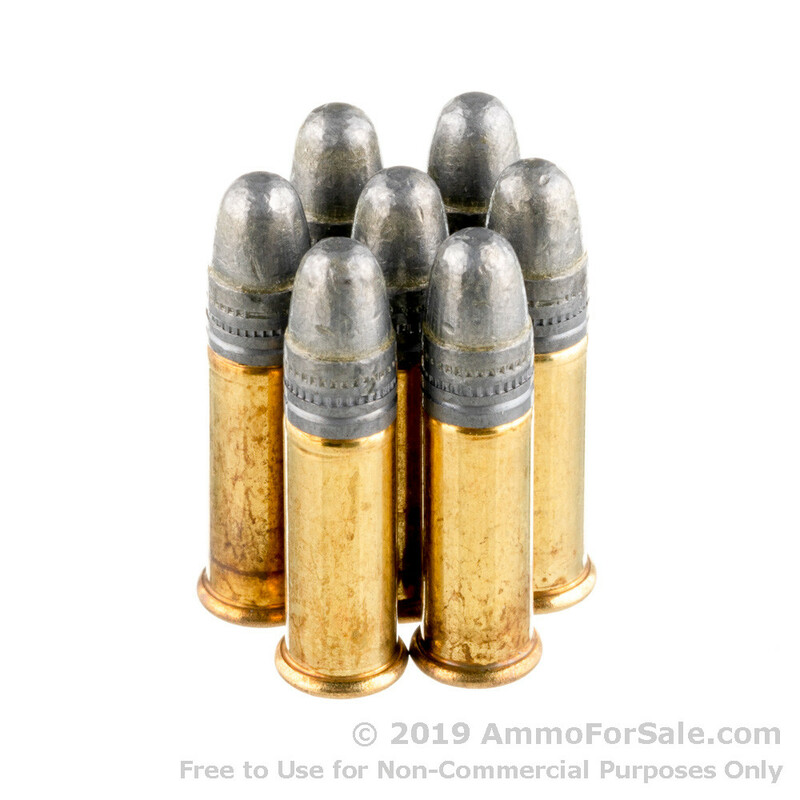 This 22lr round can be used for hunting, target practice, shooting varmints, plinking, or any high volume application. If you want to get the most out of every dollar, American Eagle is the brand you want. For folks who just enjoy pulling the trigger, it doesn't get much better. These rounds are especially known to deliver consistency so you'll know what to expect each time you pull the trigger. American Eagle uses non-corrosive, rimfire-primed, brass cases. Even if you're out in the field or at the range for a long time, American Eagle will have you covered. 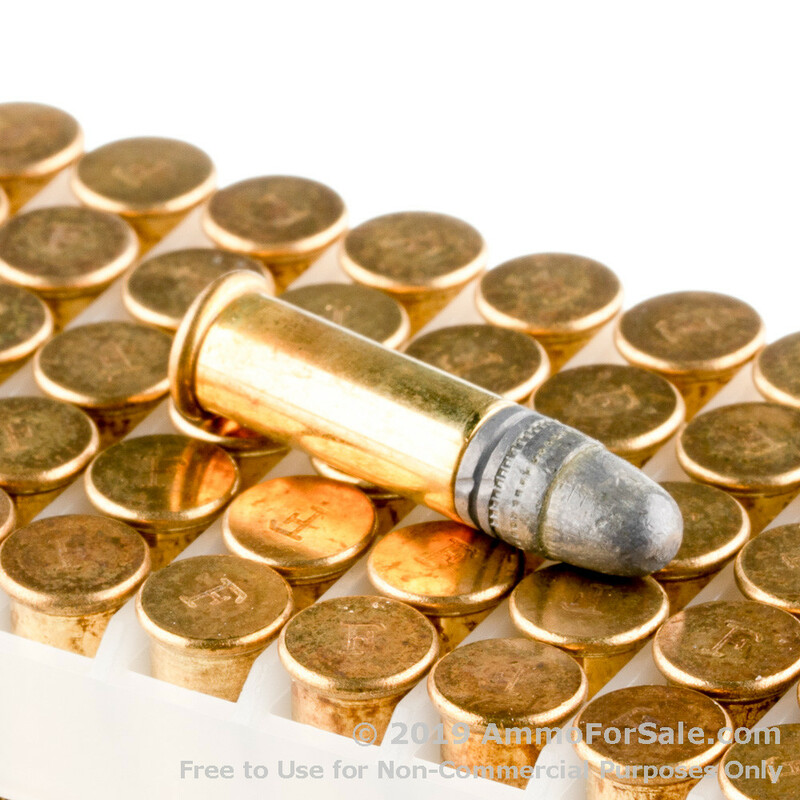 This ammo is similar to Federal's premium ammunition, which makes it good for training purposes. Each round travels 1,240 feet per second. Like the name says, American Eagle is an American made product. As a company, Federal is popular for hunting, law enforcement, and military applications. American Eagle was designed and priced for high volume shooters, while still delivering the quality that makes Federal a popular brand. When you buy this product, you get ten boxes with each box containing 50 rounds. Using ammo for youth shooting and all went well. Rate this site and purchase to my friends. It's good to be able to practice at lower ammo cost. My AR15-22 eats Federal with no failure. Hello Dan, Yes, the 40gr. LRN rounds by Federal in .22 LR are compatible with the Ruger 10/22. You shouldn't have any problems with them in that firearm.